There are great sport shops where you can find almost anything triathlon related. Who doesn’t enjoy walking around the well-stocked stores and getting inspired by the products instead of just clicking on websites? My favorite stores are Cycle World and Mack Cycle. I’m super happy that this time around I bought my new tri bike at Cycle World! You will be seeing it a lot on Instagram since I sold my previous road bike to make room (and have some extra cash) to buy it! Miami offers clear waters to swim and have fun. I’m always one of the last ones to complete the swim leg, since my skills for this sport are quite new. I’m a slow swimmer who feels happy by completing the distance without drowning, but I struggle. However, there is something about these waters that brings me at ease. They feel warm and calm. I just feel like I can take my time and it will be fine. Oh, I miss it! 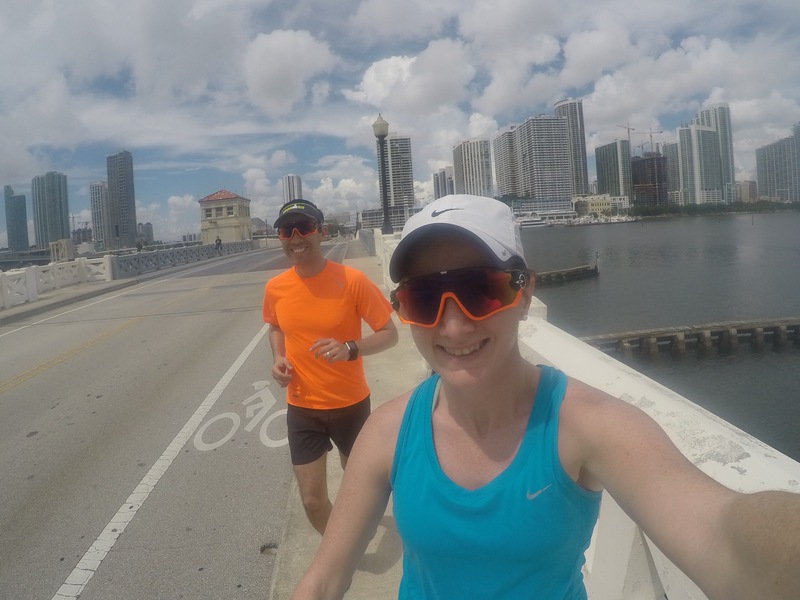 The city of Miami is super runner/cycler friendly. There are nice sidewalks and awesome bike lanes in different beautiful areas. 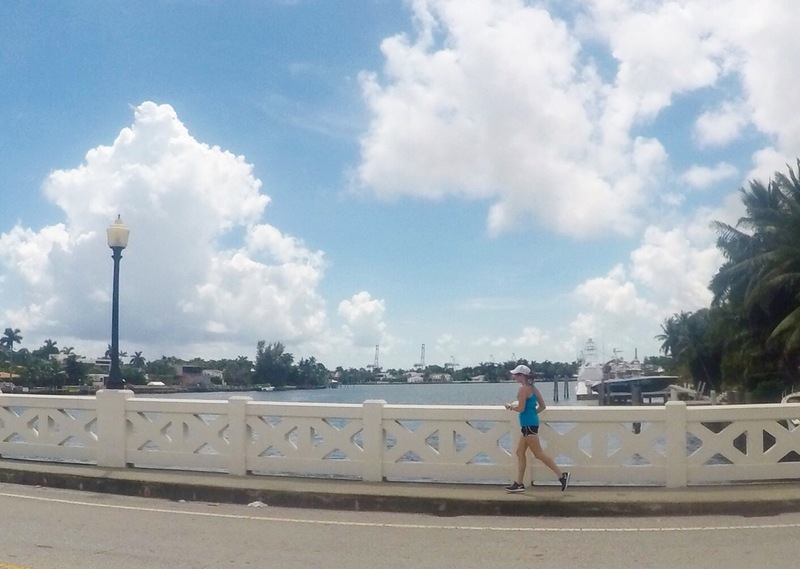 I went running in the Venetian Causeway at noon so it got pretty hot. Leasson learned: In Miami one must run early. 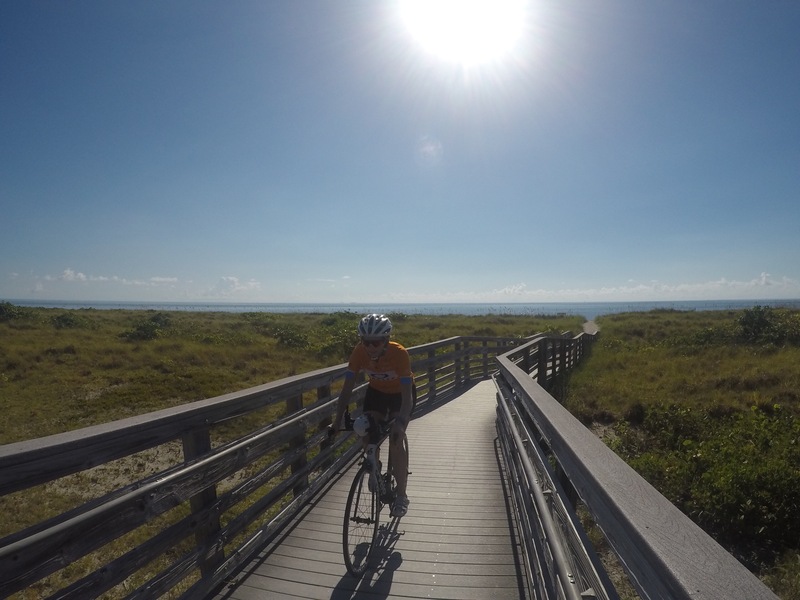 Another day I went cycling on Key Biscayne. I wished all cities had those safe-smooth bike lanes. Mark my words: it’s a cycler’s paradise! 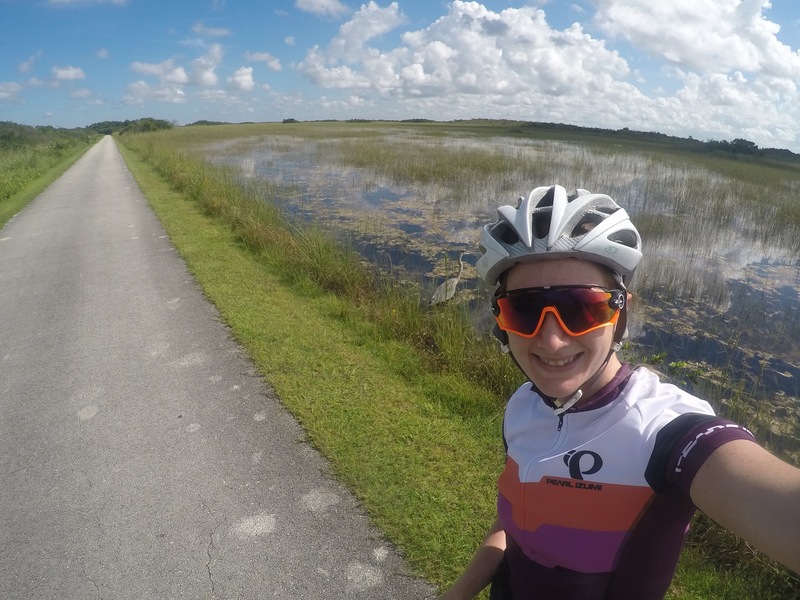 The Everglades! Such a cool place to go cycling, hiking or even running. This national park is so close to Miami. The park is huge, so I recommend going cycling to Shark Valley. There is a 15 mile circuit with no cars except for the tourist tram passing every 30 minutes. You can also rent a bike there. You will see many animals, including alligators! Actually we saw a few and one even crossed the road as we were approaching. Good news is that they are well-fed and not looking to eat any visitors. Since weather doesn’t change much, there are many races all year round. Most of Miami events promise a beautiful setting with great organization. You could only complain about the heat and humidity which are compensated by being at sea level in an almost flat course. This time I participated on a race which was part of the Mack Cycle Trilogy series. The race distance was 0.5 mi swim + 20 mi bike + 6.2 mi run. I know I’m not a fast triathlete, although I’m disciplined and perseverant. This being said, I must admit that age groups are my ally. Thanks to them I was able to place third on the female 30-35 group. This is definitely a nice motivation to keep on training hard! So forget Miami as a destination for retirement. It’s one of the best cities for training! 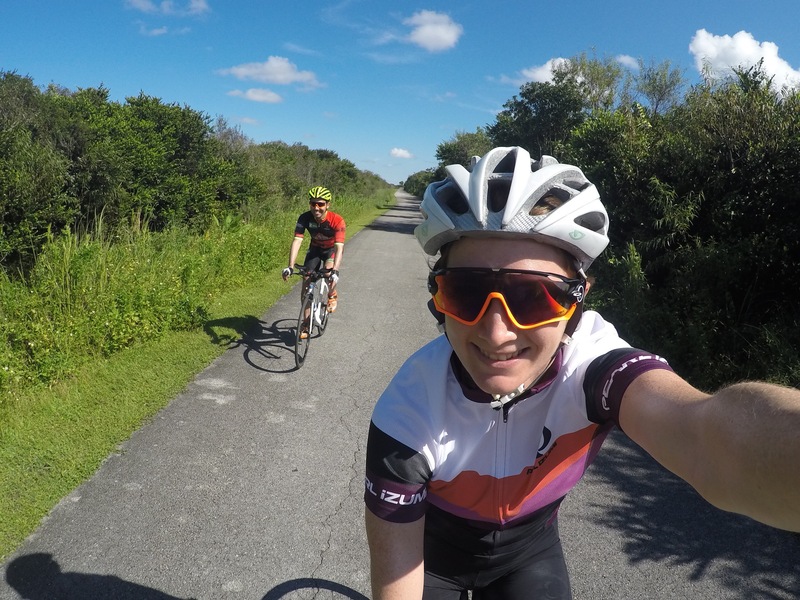 Next time that you go to Miami consider taking your running shoes and bicycle along! (if it is too much of a hassle, Mack Cycle rents road and tri bikes for a day).